The potential of K2FeO4 as a pretreatment agent of a lignocellulosic material was examined on leaves of Acer platanodides as the sole substrate for biogas production by anaerobic digestion carried out through modelling laboratory-scaled semi-continuous reactors differing in loading rates and substrate (pretreated and untreated leaves). The quality of bioagas produced by K2FeO4-pretreated leaves was significantly better in terms of higher methane content and lower content of H2S. 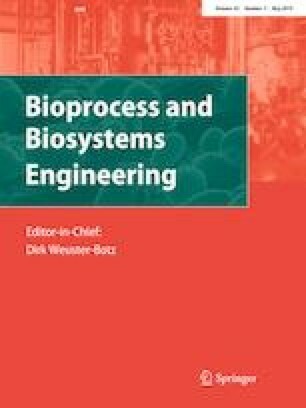 K2FeO4 had no crucial influence on growth inhibition of biogas-producing bacteria, which were analysed by comprehensive culture-independent methods utilising high-throughput sequencing of specific genes [bacterial and archaeal 16S rRNA, formyltetrahydrofolate synthetase gene (fhs), methyl-coenzyme M reductase α subunit gene (mcrA) and fungal internal transcribed spacers (ITS)]. The higher amount of CH4 in biogas utilising pretreated leaves as substrate could be caused by a shift to acetoclastic methanogenesis pathway, which was indicated by the higher amount of homoacetogenic bacteria and acetotrophic methanogens detected in those reactors. The online version of this article ( https://doi.org/10.1007/s00449-019-02112-x) contains supplementary material, which is available to authorized users. This study was mainly financed by SAS-MOST Joint Research Cooperation (Bilateral project Slovakia–Taiwan) under Grant nos. MOST 104-2923-E-006-001-MY3 and SAS-MOST JRP 2014/3. This work was also supported by other projects of the Slovak Research Agencies under the contracts no. APVV-16-0124, APVV-16-0171, VEGA 1/0543/15 and VEGA 1/0558/17.